Collaboration among experts in Alzheimer’s research is aiding progress towards the goals of specific diagnostics for various types of dementia, combined with safe and effective medicines. There were glimmers of hope – real hope, and real progress – in the research presented at this month’s Alzheimer’s Association International Conference in Copenhagen, Denmark. These encouraging signs lay the foundation for urgently-needed solutions to prevent, diagnose and treat this fatal disease, for which there is no cure. Our experts joined respected peers from the pharmaceutical industry, academia and advocacy organisations at the meeting, presenting data that advance the science in a collaborative, concerted effort to conquer Alzheimer’s Disease (AD). This effort is important to Lilly, which has been working in Alzheimer’s research for 25 years, and to me personally, as a son who lost his mother to this devastating neurologic disease. My elderly mother fell and broke her hip towards the end of her life. As she was so ill and unable to recognise her loved ones, we had to decide whether she should suffer through surgery. Such hard choices are faced by families and caregivers every day. The statistics are daunting. Every 65 seconds, a patient is diagnosed with AD. Worldwide, nearly 36 million people live with this or a related dementia, and the annual cost of caring for patients is soaring above $600 billion. Early diagnosis and intervention is essential; once this complex disease sets in, there is no turning back. Despite years of research, current treatments only partly address symptoms of the disease. They have not been able to slow or halt it. As a result, today even patients with dementia due to AD are not diagnosed until too late – often years after symptoms begin. Should treatments that slow disease progression be available, the sooner a patient begins treatment the better; the best prognosis will be for those treated when they exhibit the earliest symptoms. • Advances in disease understanding, early detection and diagnosis. We know that Alzheimer’s pathology begins decades before symptoms emerge. This paves the way for clinical trials that test our ability to prevent the onset of debilitating dementia in patients who are most at risk for the disease. • Data that show that lifestyle changes, such as increased exercise and brain-stimulating activities, can improve the odds of staying mentally healthy while raising awareness of the value of a timely diagnosis. • Renewed enthusiasm for the amyloid hypothesis, both in terms of identifying patients with Alzheimer’s, or at risk for it, and as a possible treatment target, specifically if used early in the disease. This fight underscores the importance of scientific innovation. Across our industry, there are about 100 medicines in development for AD. When drug candidates are said to have failed, it is agonising. In some cases, safety concerns or lack of efficacy are clear and no further research is undertaken. However, in other cases, we have a chance to learn, re-direct our efforts, and quickly move forward. Lilly’s researchers are targeting two known traits of the disease – beta-amyloid and tau tangles – with potential medicines and diagnostics in every clinical phase of development. Close partnerships with others are helping to speed progress. Simply put, I don’t want others to suffer like my mother, and my family, did. From the first day when we noticed her symptoms – when she couldn’t remember things she’d been doing for decades – we were helpless. Had there been an earlier diagnosis combined with a disease-modifying agent then, she might still be with us today. The requirement is for specific diagnostics for various types of dementia, combined with safe and effective medicines to prevent, slow or treat this mind-robbing disease. Our commitment to that goal is unwavering. Jan Lundberg, PhD, is executive vice president for science and technology and president of Lilly Research Laboratories (LRL). He joined Lilly in 2010 as the leader of LRL, overseeing research and the development of medicines. Before that he served for 10 years as global head of discovery research at AstraZeneca, where he was on the senior executive team. Previously he was a professor at the Karolinska Institute’s department of pharmacology in Sweden. He is a co-founder of Aerocrine AB, a biotech diagnostic company. 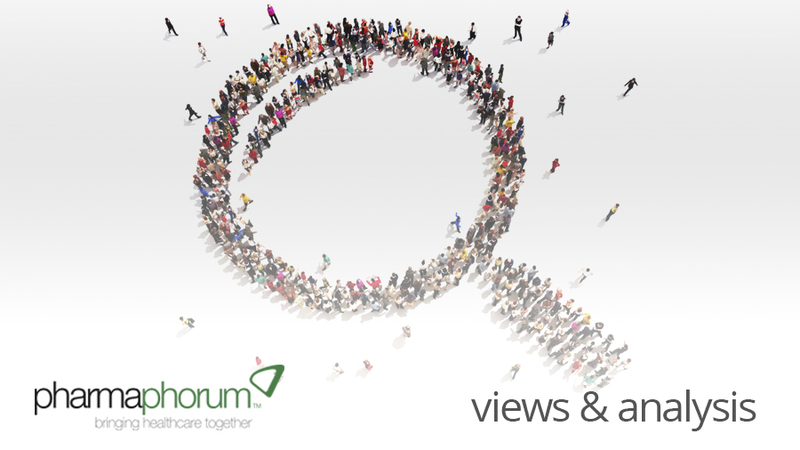 Have your say: Should we be optimistic about progress to date in Alzheimer’s research?